Quite possibly the handiest tape measure you'll ever find! 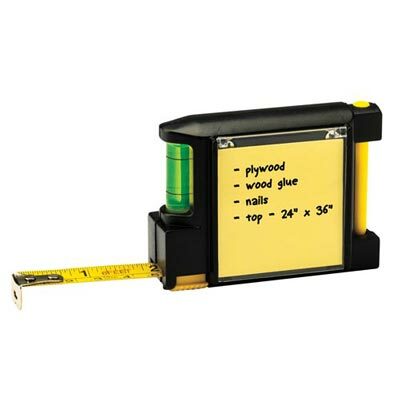 The 74" tape measure includes a 2"x2" refillable post-it-pad (refills not included), a pen, level and convenient clip-on attachment. This All-Around Tape Measure makes a great gift for the handy man or woman in your life. 3¼"w.